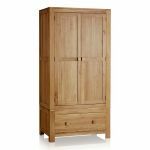 The Oakdale Natural Solid Oak Double Wardrobe is the perfect storage solution for modern and traditional bedrooms alike. 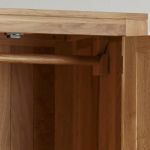 Not only do you get absolutely heaps of hanging space, but at the bottom of the wardrobe there's a spacious drawer, which is assembled using robust dovetail joints. 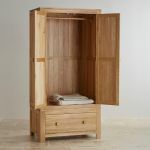 The whole unit is handcrafted from premium grade solid oak and finished with a clear wax polish to enhance the grain patterns and create a protective seal. 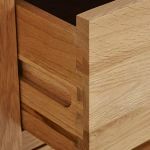 Even the backs, bases and runners of the drawers are one hundred percent solid oak - because we believe that quality should run throughout, not just on the surface. Finishing touches to this clean-cut, contemporary design include chunky cubed handles and sleek, panelled sides. 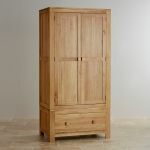 For more items of quality solid oak furniture, make sure you browse the rest of the Oakdale solid oak range. 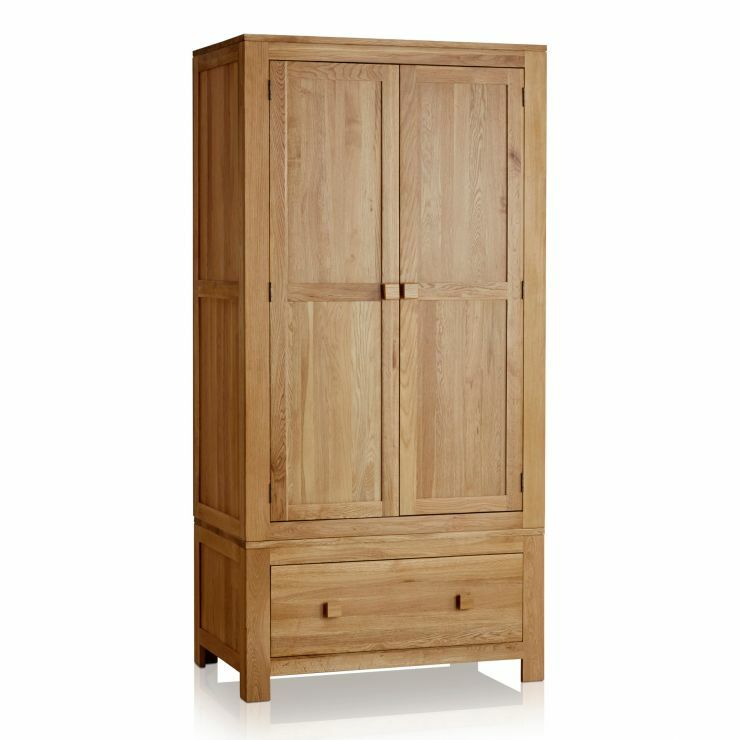 Please note: The base and upper section of this wardrobe are designed as two separate pieces. This is to aid delivery (due to narrow staircases etc) and will therefore require minimal self-assembly. The top of the wardrobe, including packaging, measures approximately 95cm x 65cm x 159cm. 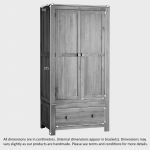 Please could we ask you to check measurements to ensure this product can be delivered to your room of choice.